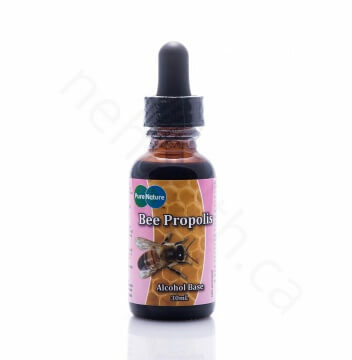 Pure Nature Bee Propolis comes from Canada. It is a resinous mixture that honey bees collect from the tree buds, sap flows or other botanical sources to seal the hives from parasites, bacteria or extreme weathers (e.g. cold and rain). 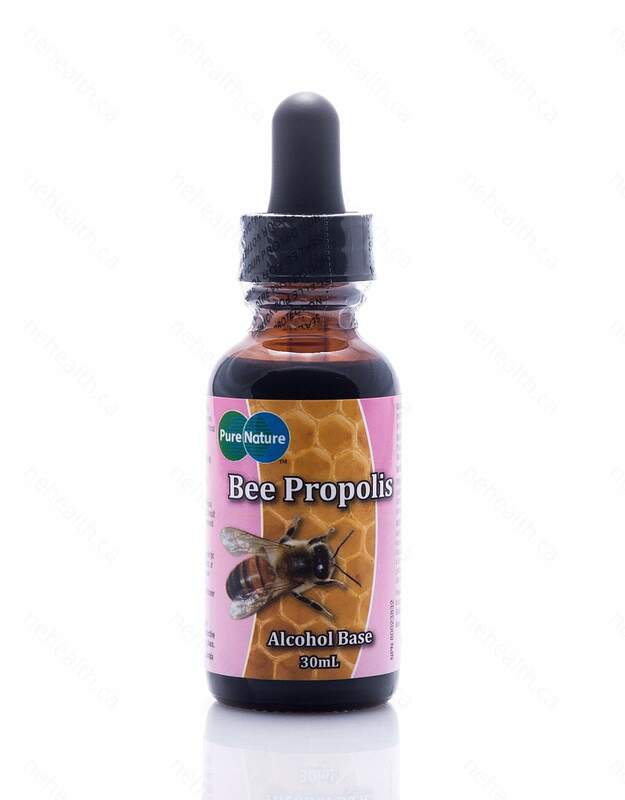 Bee propolis has long been used as a herbal medicinal ingredient due to its powerful antimicrobial, antifungal and antibacterial properties. It is an excellent natural remedy for sore throat and or other mouth and throat infections. 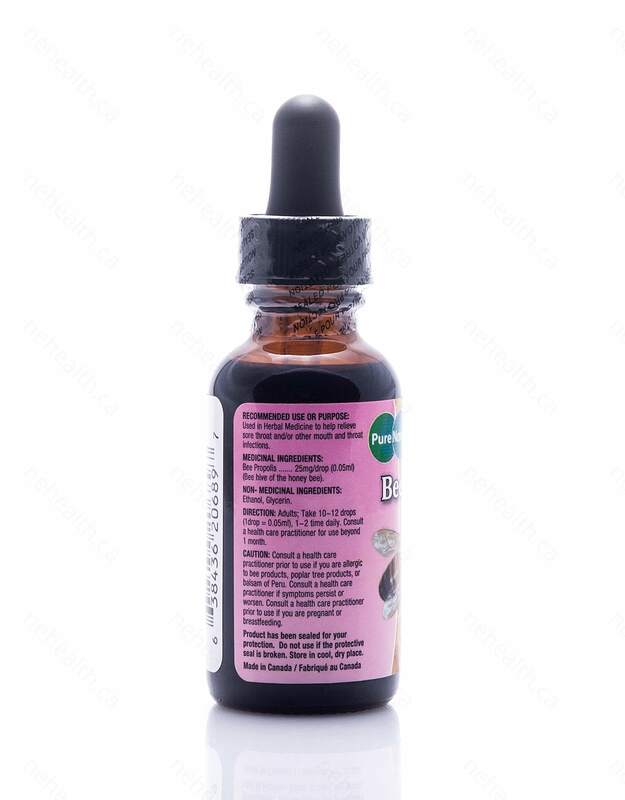 Adults: Take 10-15 drops (0.3-0.5ml), 1-3 times daily. 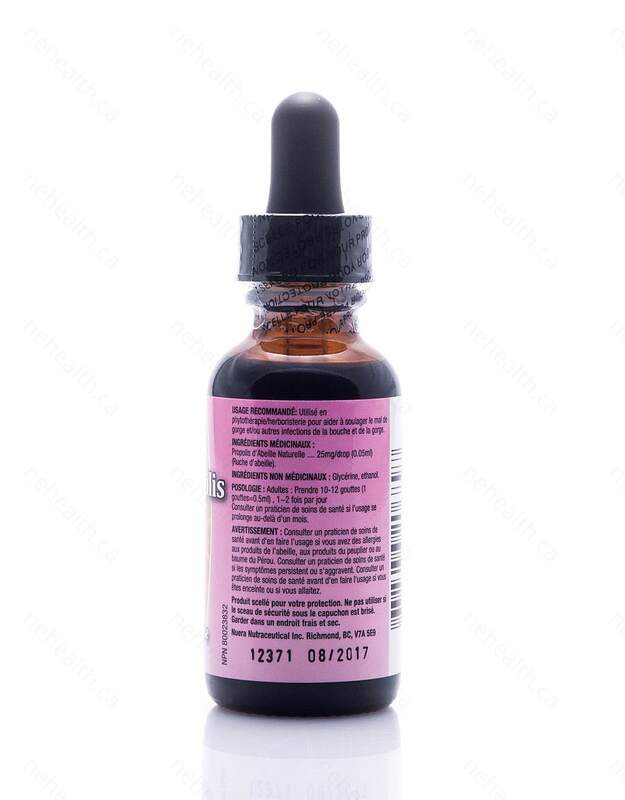 Children (1-18 years): Take 10-15 drops (0.3-0.5ml), 1-2 times daily. Consult a health care practitioner prior to use if you are allergic to bee products, poplar tree products, or balsam of Peru. Kujumgiev, A., et al. 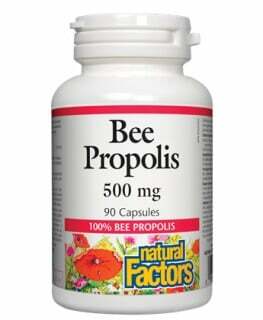 "Antibacterial, antifungal and antiviral activity of propolis of different geographic origin." Journal of ethnopharmacology 64.3 (1999): 235. BANKOVA, V., et al. "CHEMICAL COMPOSITION AND ANTIBACTERIAL ACTIVITY OF BRAZILIAN PROPOLIS." Zeitschrift für Naturforschung. C. A journal of biosciences 50.3-4 (1995): 167-172.